Dr. Martin joined Dr. Jordan Shubert at Down East Orthopedics in 1984 which has since grown to be a highly respected orthopedic practice. The practice now has 8 physicians and 6 mid-level providers providing care in their state of the art facility. 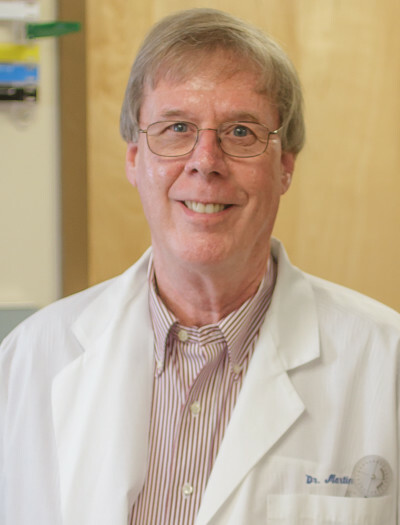 Dr. Martin grew up in Southern Maine and then returned to Maine as a general orthopedist after completing his orthopedic residency in Cleveland, Ohio. Over the years he has refined his practice to adult reconstructive surgery and arthroscopy which focuses on hip, knee, and shoulder procedures along with joint replacements. Dr. Martin also remains available to address all types of orthopedic conditions. Dr. Martin is a Board Certified Orthopedist and Fellow of the American College of Surgeons as well as a member of the American Academy of Orthopedic Surgery, the Arthroscopy Association N.A, the American Orthopedic Society of Sports Medicine, and the American Association of Hip and Knee Surgeons. To contact the office of Dr. Martin please call (207) 307-8902 or by fax at (207) 307-8912.